We took the scent of our favorite Christmas cookies and baked them into these festive tins for you to enjoy all year round. If you're looking for the ultimate holiday gift for the wet shaver in your family, this is the one. 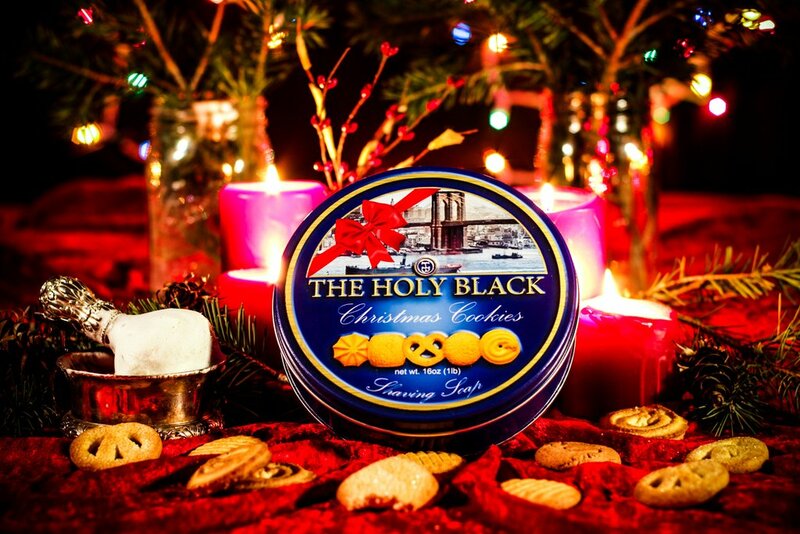 Only 200 produced, these tins contain one full pound of shaving soap in Sugar Cookie, Ginger Snap and Oatmeal Raisin, separated into their own compartment. Lather directly in the tin to mix and mingle, or used the supplied wooden spoon to scoop a little out and lather in your favorite bowl or mug. In it's 6 11/16" diameter tin and weighing in at a full pound, these soaps are monsters.